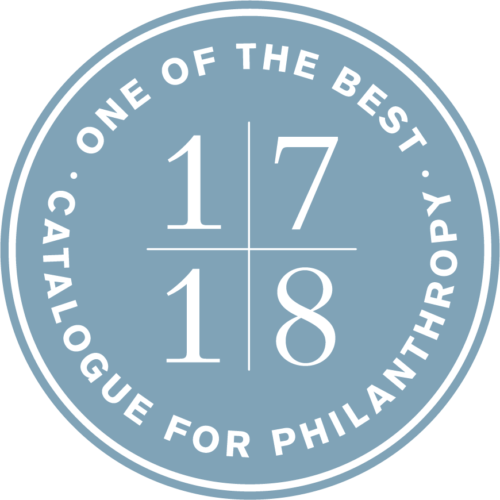 WASHINGTON, D.C.—June 12, 2017—After a careful vetting process, the Catalogue for Philanthropy: Greater Washington has selected Hope for Henry Foundation to be part of the Class of 2017-18. Hope for Henry has undergone an extensive review process, and has met the Catalogue’s high standards. Potential donors can be confident that the nonprofits in the Catalogue are worthy of their support. Hope for Henry’s mission is to reinvent how hospitals care for seriously ill children and their families through programs that entertain, reduce stress and empower children to be active participants in their own care. This year the Catalogue celebrates its 15th anniversary: since its inception it has raised $38 million for nonprofits in the region. It also offers trainings, neighborhood-based opportunities for collaboration, and a speaker series for individuals who want to learn about and engage with the needs, challenges, and accomplishments of our shared community. This year, reviewers helped select 76 charities to feature in the print edition, 34 of which are new to the Catalogue this year. It also selected an additional 32 nonprofits to be re-featured on its website, and congratulated ten on growing beyond its $3million budgetary limit. The network now includes over 400 vetted nonprofits working in the arts, education, environment, human services, and international sectors throughout greater Washington. “People want to know where to give and they need trusted information. Based on our in-depth review, we believe that Hope for Henry is one of the best community-based nonprofits in the region,” says Barbara Harman, founder and president of the Catalogue for Philanthropy. The Catalogue believes in the power of small nonprofits to spark big change. As the only locally-focused guide to giving, its goal is to create visibility for the best community-based charities, fuel their growth with philanthropic dollars, and create a movement for social good in the greater Washington region. The Catalogue charges no fees; it raises funds separately to support its work.